I missed seeing the movie “Juno” in theaters, so when it was released for sale through iTunes I figured I would rent it first, then if it was as good as everybody said it was maybe I’d buy it. The wife and I settled in front of the TV, I fired up the Apple TV, navigated to movies and found “Juno.” What the ?!?! “Juno” was available only for purchase, not for rental. I forgot: Many movies for video-on-demand systems like the Apple TV have to wait a month or so for rentals to become available, allowing first for the sale of DVDs and rentals of the “physical” disc through a Blockbuster or Netflix. Jeff Bewkes, Time Warner’s chief executive, said today that Warner Brothers studio will now release movies for video-on-demand systems on the same day as they are released on DVD. “For consumers, this moves Hollywood closer to what most people want: The ability to get any movie, on any device, at any time,” notes Saul Hansell of The New York Times. In the age of the Internet, I wonder if Hollywood’s system of movie release dates makes sense anymore — films are released first to the theaters, then available on DVD for purchase or rental. 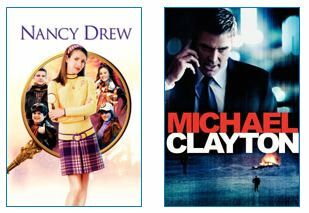 Only later do these titles show up for rental on video-on-demand systems before being sold exclusively to pay TV networks and, eventually, commercial television. Are movie buyers and movie renters the same animal? It seems to me they’re not. Those who buy are often collectors, or students of film who like all the extras they get when purchasing a DVD. Those who rent want to see the film and move on to the next one. With video-on-demand systems becoming more prevalent, it seems that Hollywood is missing an opportunity to rent movies quicker through the next great distribution medium — the Internet — while eliminating some of the cost of manufacturing and distributing physical discs. It would also give consumers what they want: better choice. “Taking a customer and moving that person over from rental-physical to VOD day-and-date is like a 60 to 70 percent margin instead of 20 to 30,” Bewkes said. 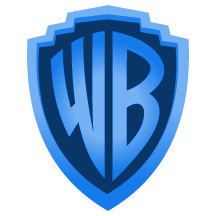 Many feel that Warner Brothers’ decision is the official start to the next great Hollywood entertainment battle: distribution of physical discs (regular and Blu-ray DVDs) vs. distribution via the Internet. The winner here may, one day, be the video-on-demand systems. I think that online distribution will win in the long run. As the general public becomes more accustomed to watching TV and movies over the net, and as proliferation of web-enabled TVs and set-top boxes increases, it is only natural for movie rentals via the web to increase. Add to this market forces, with, as Daniel points out, the reduced costs of production and distribution, and competition. Price will be forced down over time and they can naturally be lower than physically renting a disc. I also see the rental of older movies increasing, as Blockbuster-style rental outlets only have the latest blockbusters on the shelves. The ability to watch an old film for $1.99 (99p) is appealing and gives the studios another income stream from partially-redundant properties. I had heard about an experiment where some studio wanted to test releasing a movie to cable VOD on the same day it was released in the theaters. Or was I dreaming?? I myself would love to be able to get first-run movies at home on the day they open in the theaters. We already pay $40 for the four of us to go to the theater (plus the cost of food), so $40 for the opportunity to stay comfortable in our home theater and see these movies would be great!! We could even do it during dinner, a la cinema ‘n’ drafthouses.